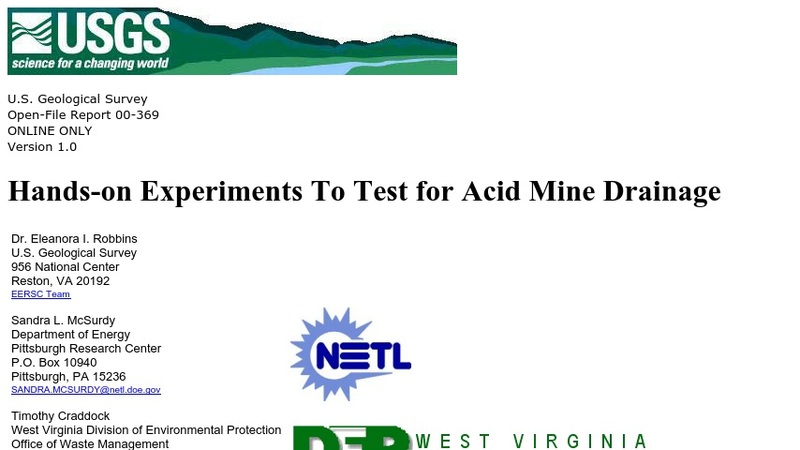 This is an on-line prototype for a book aimed at teaching kids the effects of acid mine drainage on our environment through experimentation and observation. Experiments introduce litmus paper, pH testing, neutralization, identification of aquatic organisms and their use as water quality indicators, acid mine drainage, organisms in acidic environments (including plants, bacteria, and algae), oxidation-reduction reactions, the manganese cycle, the water cycle, and treatments for acid mine drainage. The entire document is also available in a downloadable Adobe PDF format.